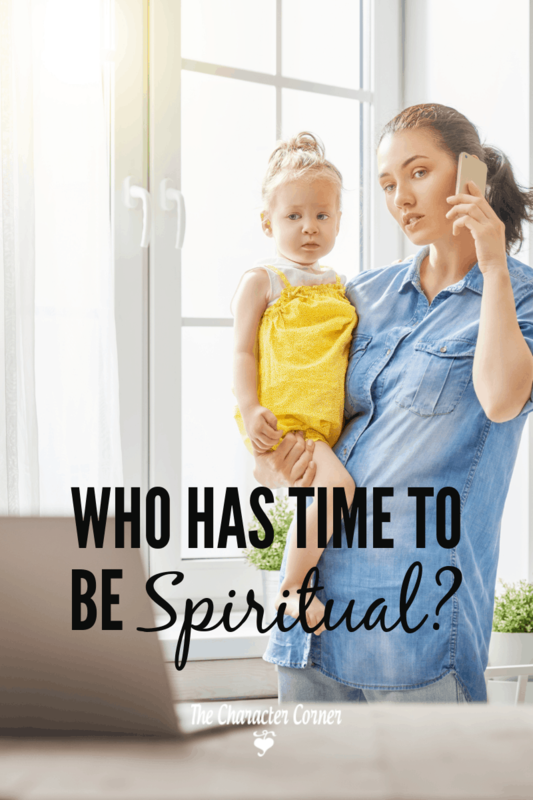 I went to church regularly, but during the week it was easy to get so caught up in all the daily demands, that at night I would fall into bed exhausted. At that point, I would remember, I never had my quiet time alone with God today! Then I would hear a sermon about spending time reading your Bible daily, or spending time in prayer, and the guilt would begin. When the pastor preached a sermon about the importance of serving God, and being involved in ministry, I felt like a failure. I was no longer able to be involved in all the ministries that I once loved being part of in church. After the service, I went to my pastor and mentioned my feelings to him. He very wisely reminded me that taking care of my family and home IS my ministry. In my heart, I knew that. However, it was good to hear it from him, and have that reinforced in my mind. It’s so easy to look at how things “used to be” before we had kids. We may have been able to spend an hour a day in Bible reading, prayer, and Bible memory. Time alone with God each morning was the normal thing, a habit that you never missed. I believe it is still very important as moms to make sure we spend time with God, and in His Word. However, the “alone” part might be a bit more difficult. That’s when it is time to come up with creative ideas to “stay spiritual” throughout the day. 1. Start the day off by singing a Scripture song with the kids before you eat breakfast. This was SO helpful for me! I don’t always wake up fast, and definitely not in a cheerful mood. Kids, on the other hand, are wide awake and ready to go! Singing a Scripture song helps my spirit, and prepares me for the day. It also continues to help throughout the day, as the words of the song go through my mind. It’s hard to keep a bad attitude with those words running through your mind! 2. Have Bible time right after breakfast. We read a few verses or a chapter together, and talked briefly about what it meant and how to apply it to our lives. 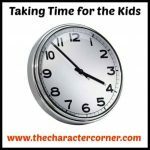 You need this time to get some of God’s Word into your heart and mind for the day, and by doing this with the kids every day, it shows them that this is something important. We also had a short time of prayer to ask for God’s wisdom and help for that day. After this, I always had my older kids go to their rooms or a quiet place, and have their own quiet time with the Lord. 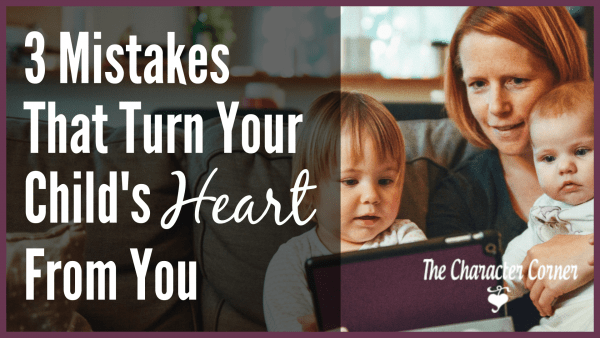 This is a habit I wanted them to develop, and make a top priority in their lives. 3. Use God’s Word to discipline and correct your children throughout the day. It’s so easy to get frustrated when our children are having bad attitudes, or showing wrong behavior. We look at it as an interruption, as we are busy trying to get through the school lessons for the day. Instead of looking at it as interruption though, we should look at it as an opportunity! 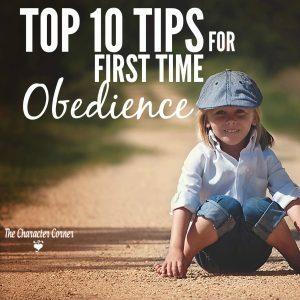 It’s a chance for us take them to God’s Word, and show them what God says about that behavior, and give them Bible answers to their struggles. We would then pray with them about it and encourage them that with God’s help they could do better. There are 2 benefits to disciplining with Scripture. 1. You are continually exposed to God’s Word throughout the day. Though you may not have much time alone to read His Word before beginning your day, this will help you keep His Word in your thoughts throughout the day. If you have been blessed with a difficult child, just think HOW many times a day you get to go to God’s Word!! 2. It keeps you calm in your discipline when you approach it this way. 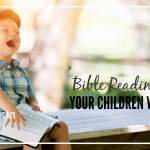 It’s hard to stay angry when you are talking to your kids about pleasing God, and reading the Bible to/with them! Now if you’re like me, and struggle with your memory, maybe you’re wondering how you will ever come up with the right verses every time you need them! I put together the book Training and Correcting the Heart With Scripture for this very reason! It gives you verses on various topics, making it easy for you to always use Scripture, rather than responding with the usual scolding, or just your own “words of wisdom”. God’s Word has so much more power than our words, and I have seen how effective it is when I use it with the kids. 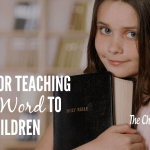 The difficult children especially seem to respond well, and I will notice their countenance soften, and their eyes fill with tears, as God’s word brings conviction. 4. Listen to good music throughout the day. Having hymns and Godly music playing does so much for your spirit, and will help you feel closer to God. I have found that even playing Patch the Pirate CDds for the kids helps me! The music on them is very uplifting, and helps me to keep a song in my heart. Another thing I’ve done with music is have a little “praise time” with the kids. I may not have time to spend alone praising God daily, but I can have a time with the kids where we sing praise on their level. We sing little choruses like: “My God is so big, so strong, and so mighty”, “I Love You Lord“, and “Praise Him, praise Him, all ye little children“. It’s amazing what singing these little songs of praise will do for you, as you focus on God’s greatness! These are just a few of the things that have helped me keep my mind a little more focused on the Lord throughout the busy, hectic days. Don’t despair if you find it difficult to have a “quiet time ALONE” with God. Take advantage of the opportunities you have during the day with your kids, to include God and His word, and you will be surprised at how it will make you feel closer to God daily! Thanks Kathie, these are all very useful tips and I unconsciously have been practising them. But I think the last one is a winner for me, one that I need to put to use more often. Thanks for sharing and have a super blessed day! I recently started (mostly) praying with my children in the morning, and WOW what a difference it has made in our days! I like the idea of reading scripture after breakfast. Thanks for the post. Tia, don't you just find that there is something so special about praying with your kids? It helps them and me! It surprises me often how one simple thing can make such a difference in our day. Prayer is simple, but so powerful! Another excellent discipline resource is the Child Training Bible. 🙂 Thanks for linking up with WIP! My kids are grown now, but I do love your suggestions – especially a scripture song before breakfast. My kids were not morning people … I wonder if that would have helped them? These are wonderful suggestions! When my guys were little, we began each morning with scripture songs and prayer. I'm absolutely not a morning person, so it was a wonderful way to slowly slide into the day! Great post! 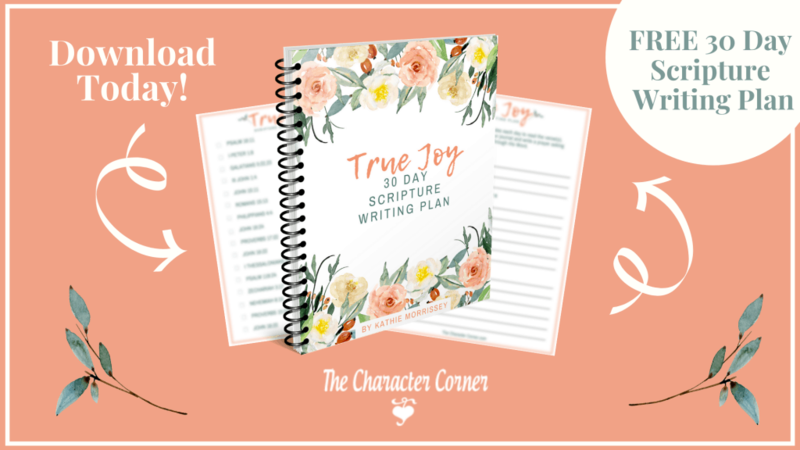 I'm a new follower via Serving Joyfully and would love for you to visit! These are great ideas! 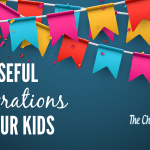 I have so much less time since having kids and these creative ideas are so doable! This was a good post. I read the Bible to my children after breakfast or worked though one of the books from Pearables, or some other devotional book. My favorite book for helping me find the scripture that applied to their wrong-doing (sin) was "Instructions in Righteousness." I love Ron Hamilton's music!! Two of my favorite singers are Kevin Inufuku and the Steve Petite Evangelistic Band. Judith, do you use the Patch adventure CDs with your children? My kids have loved those or years, and to be honest, I enjoy listening to them to! They are interesting, full of humor, but also full of great lessons and reminders about what God says is right. Visiting from A Mama's Story Linkup! So glad to find your post here today. 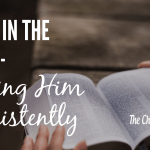 I was just thinking about this topic last week and wrote a post about one thing I have done to make sure I do have at least some personal time every morning with the Lord. I have found that I really need it to get my mind in the right place and stop living a life of running from one thing to the next… always running! I recently started making sure we had Christian music and worship songs playing throughout the day, and one of my tween-age daughters told me that she really liked the "change" — praise God! Thank you so much for all of your tips, they are really helpful and insightful! Disciplining with scripture is one I definitely want to work on. Thank you for blessing us with your tips!